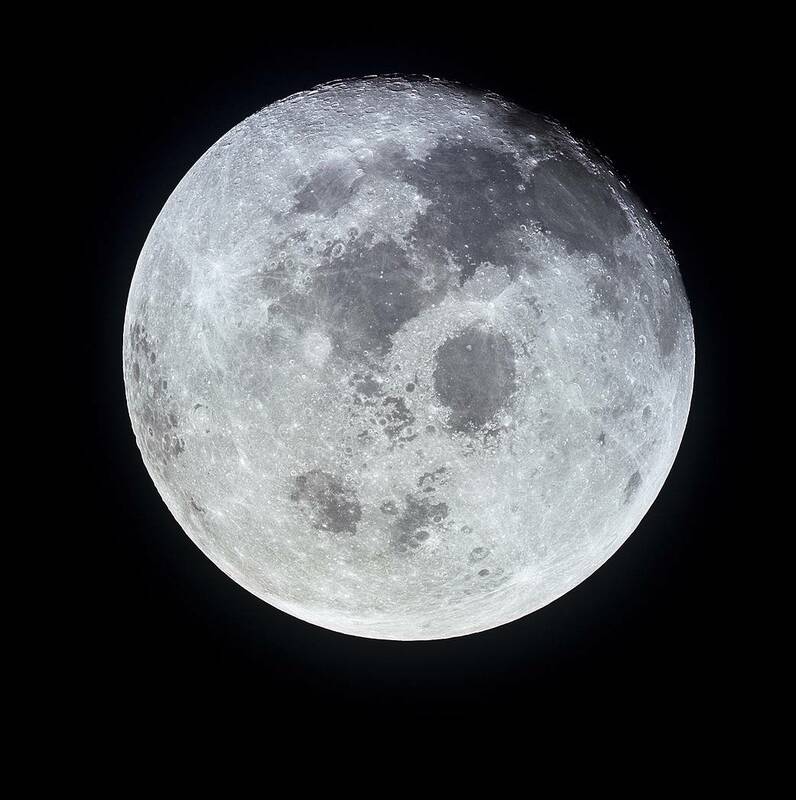 This full moon was photographed from the Apollo 11 spacecraft. Photo courtesy of NASA, July 19, 2013. The December 3rd supermoon, besides being the only supermoon in 2017, was the first of three successive full moon supermoons. The other two full moons will be on January 2 and 31, 2018. And, in fact, the full moon on January 31st is considered a Blue Moon because it’ll be the second of two full moons in one calendar month. Recently, blue moon refers simply to the second full moon which appears during a calendar month. In the past, the blue moon was the third of four full moon which appeared in a single season. At our hunting cabin, when I go outside during the early morning hours of winter — after the generator is turned off and there’s only an oil lamp lit for safety — I often see the “blue” of the moon and the millions of bright diamond-like stars and planets in the sky. It’s an awesome sight and one I’m so fortunate to be able to experience. Hm-m! I wonder if residents of California will be seeing a blue blue moon during January? May your New Year be happy, healthy and safe! I appreciated reading about this…blue moon. Hi! Maryann — Happy New Year! I’m planning another lunar post near the end of the month about the the lunar eclipse associated with the second full moon of January.